Digital Web: This question has been asked many times and we would be in trouble if we don’t ask. How do you define Information Architecture (IA)? What does it encompass? Jeff Veen: My answer to that question isn’t particularly popular among IAs. Frankly, I’m not at all convinced Information Architecture should be a discrete discipline at all. You see, I worked on large-scale Web sites for an awfully long time before I came across people talking about IA. My first reaction was surprise—they were talking about stuff we did already, we just called it Web design. Organizing information in a way that is intuitive and accessible to your users, providing navigation and interaction to support that organization, and participating in user research to derive those user goals… that’s what we’d been doing, though with a much heaver emphasis on visual design than what I typically see in the IA community. For those reasons, I’m a much larger proponent of seeing the methodologies and techniques of today’s Information Architects trickle down to Web designers and developers, rather than ensconce itself as a tight community. Jesse James Garrett: At its core, information architecture is the craft of arranging pieces of information to fulfill a particular purpose. The purpose of an architecture will vary from project to project, and some architectures will have to serve multiple purposes. Some architectures are meant to help people find specific pieces of information; others are meant to help people learn about a subject or encourage them to take some action or persuade them to adopt a particular point of view. I used to deal with these same issues back when I was an editor working with writers. The difference is that nowadays the quantities of information I have to wrangle are orders of magnitude larger, and the options available to me in shaping that information into a meaningful structure for users are nearly infinite. Digital Web: IA is similar to making a blue/files/includes/print.css for a building, only it’s meant for a Web site. How can IA represent the more visual aspects of a site namely content, links, and tasks? JV: IAs should be involved at every step of the site development process. They should be there at the beginning when gathering requirements and business goals, and they should be involved through the visual design and content creation stages as well. I do everything I can when consulting with clients to get them to stop the hand-off process: you do this then give it to them and then they pass it on to those guys. It’s much more efficient and effective to work in multidisciplinary teams who collaborate at every step. JJG: The blue/files/includes/print.css analogy is an easy one for people to grasp, but I sometimes wonder if it doesn’t oversimplify the field of information architecture. Sure, creating site diagrams is central to any IA’s job, but information architects create lots of other deliverables too, and they can be deeply involved in many aspects of site development. I came to IA by way of content and editorial work, but there are many IAs with a strong background in visual design or technology. Digital Web: How does IA play a key role to creating a successful Web site? What can IA do for a site? Won’t do? JV: When you develop a Web site, you play a game of constraint and compromise. There are dramatic technical constraints, not to mention design languages, marketing messages, usability concerns, and budget issues. To me, IA plays a key role in representing the user’s goals against all these internal limitations. In my experience, when that doesn’t happen, the site’s users get the short end of the deal. Engineers win out and create an elegant yet utterly perplexing technological solution. Or the Marketing department pushes through with a “message” that is completely inappropriate for the medium. Good IA methodologies keep a project true to its vision. JJG: IA is the bridge between the conceptual and strategic aspects of site development and the practical matters of design and implementation. IA can shape your site in a way that draws people in, entices them to explore, helps them find what they’re looking for, and encourages them to come back. But IA won’t help you if your content isn’t compelling. The world’s most elegant, well-crafted architecture won’t do anything for content people don’t want. Digital Web: We often hear talk about content inventory, site flows, and user testing as part of the IA process. Are these truly part of the IA process? Why or why not? JV: Site flows are certainly the core method of communicating used by Information Architects. My partner Jesse has become renowned for his Visual Vocabulary, a set of standard objects for describing site structure and interaction that has become the lingua franca of the industry. Content inventory and usability are interesting components to site development, in that the process is often more revealing that the final deliverable. While having a spreadsheet documenting tens of thousands of pieces of content is certainly valuable, the experience of searching out that content and understanding how it all relates to the site is where the true value is. Likewise, user research will only take you so far in developing an architecture. At some point, you need to do design—make real decisions that solve concrete problems. And a stack of research documents aren’t going to get you there. It’s the face to face interaction with actual users that gives you to appropriate empathy to build tools for them. It’s like Method Acting—Robert DeNiro spent six months on the streets of Manhattan in a cab to prepare for his role in Taxi Driver. He did this to understand and internalize the life these guys face, and it informed his performance. He didn’t ask taxi drivers how to say his lines, he used them as inspiration. That’s how I try to view user research—inspiration. JJG: Site flows are absolutely central to IA work. The architecture diagram is the one defining deliverable of the field—there’s no other tool that gets used as frequently by information architects. Content inventories are great, definitely valuable, although right now I’m eager to find ways to employ them that don’t involve me looking at every page on the site myself. User research potentially offers a wealth of knowledge for an IA to have at her disposal when creating an architecture, but it’s very easily misapplied. People often regard any research as Truth, but the applicability of a given piece of research to an IA problem depends on any number of factors—not least of which is whether you had the problem in mind when the research study was devised. A good architect knows where research is applicable and where it isn’t. Digital Web: What is a typical process for doing IA? How much time and effort does it take based on site size? JV: We’ve tried not to standardize our process, because that just gets you into a routine of producing cookie-cutter solutions. But that said, there are a number of techniques that prove useful over and over again. At its core, IA is like any creative process—we take a look at all the stuff we have, break it down into it’s constituent pieces, and put it back together again in a way that makes sense to the intended audience. Before I did this sort of work, I was a journalist. And to be honest, the process I just described is remarkably similar to writing a new story. You collect facts, organize them, and put them together into a story that appeals to your readers. JJG: The typical process involves content analysis (understanding what you’ve got to work with) combined with strategic work (understanding what the site needs to do for the organization and for users). I’ve found that the key factor determining how long an architecture will take is not size, but complexity. Of course, complexity is a difficult thing to measure, and often you don’t know how complex a problem will be until you get deep into it. But a site that contains a large number of pages that fall into a small number of basic categories is always easier to architect than a site with a small number of pages that have little in common with one another. Digital Web: What are the more common mistakes on Web sites with regard to IA? What are the barriers in helping users find the information they want? JV: Everyone thinks they can design. I’ve never met a CEO who doesn’t have opinions about what navigation items should go where, and what color the links should be. I’m not entirely sure why this is, but I think people confuse design solutions with their preferences for how things look. Or they just assume everyone else is like them. Regardless, it gets in the way of good design when you start assuming these things. There is nothing I like less than hearing someone say, “Well, I think users will…” It’s a good sign that things are going off track. JJG: The most fundamental mistake people make regarding IA is assuming that their users think about the subject matter in the same way that they do. In other words, most designers are really only designing for themselves. The view of your site from inside the organization will always differ from the view from outside. Sometimes that difference will be dramatic. You’ve got to set aside your preconceptions to see the site the way your users do. Digital Web: What is the purpose of content inventories? Can you point out good examples of IA byproducts? JV: As I mentioned before, the experience of doing a content inventory provides an incredibly detailed view of your site, but also makes you an expert in your content. And that is immeasurably important when synthesizing an overall architecture. JJG: Content inventories are tedious, time-consuming, pure drudgery—and absolutely essential to successful architecture. The architecture exists to serve the content; if you don’t know what the content is, how can you create the right architecture? It would be like making a dress without taking the measurements of the person who has to wear it. A bad fit is virtually guaranteed. Digital Web: Some Web designers who have been designing Web sites since 1995 believe that they’ve always done IA as part of the craft. What separates the craft of IA from the craft of a Web design? Does Web design encompass aspects of IA? JV: Ah ha! That’s exactly what I was talking about earlier. Ultimately, it depends on both your definition of IA and your definition of Web design. And to be honest, I’m really sick of both of those debates. When I’m working with a “Web designer,” I look for strong IA skills as well as technical chops. Do Web designers need experience in crafting a taxonomy? Do they need to be able to write PHP functions? No. But the ones who can are almost always better designers. JJG: IA is both narrower and broader than Web design. It’s narrower in that IA is really only about structural issues—questions about design issues like layout and color choices really come into play only to the extent that they affect the user’s ability to understand and move through the structure of the site. But IA is also broader in that it is really concerned with much more than just what the system does—our real objective is to model the way people think about the subject matter of the site, and structure the content accordingly. Digital Web: If someone wants to work as an IA, what tools, knowledge, and/or training should be considered? JV: I think the only training you can really count on today is on-the-job experience. When young designers ask me what they should do to break into the industry, I give them two pointers. First, build real sites. Your portfolio should show examples of real-world problem solving, not just cool Flash animations. I encourage them to seek out pro-bono work with non-profit organizations. That way, they can sharpen their skills by facing real constraint and political situations. Second, I push them to become involved in the community. There are a slew of mailing list discussions, Web sites, and conferences that they should be following. We all rely on our peers to learn; so should they. JJG: Generally, IAs need to know a little bit of everything about the Web development process: a little bit about content, a little bit about design, a little bit about technology. I don’t think we’ve quite reached the point yet where people can go to school to learn how to do IA. True, there are some programs being developed at a few different schools around the country, but right now these appear to focus more on imparting basic knowledge about the field rather than helping students develop the skills required to actually apply that knowledge. Digital Web: In the early ’90s, people were getting used to the concept of the Web. By the late ’90s, the big push was for eye candy designs. What do you believe is happening today? Are we moving from eye candy phase to the information phase? JV: Oh, I don’t think we’re really moving to an information phase so much as a phase in which people just want to get stuff done. Remember how people used to talk about “surfing the Web?” There were so many dot com business plans built on the concept that people would just come surfing by and spend their time at Web sites wandering around. These days, the commercial Web is really focused on finding out exactly what people want to do, and providing the simplest possible experience that allows them to do it. Just look at all the repositioning Macromedia is doing around Flash. All the new features in the MX version are designed to allow application development and standardized interfaces. They realized they had to overcome the stigma of “Skip intro…” splash pages, and are moving towards a more interactive and functional Web. JJG: I think we’re just starting to get a handle on what the Web is really good for. In some cases, with some clients and some customers, there will always be a demand for eye candy. Certainly, there’s a much greater awareness among the general public about what the Web can do for them. I don’t have to explain the Web’s advantages to people like I had to a few years ago. So that demand from the public for certain kinds of resources and experiences is going to continue to drive what we do. I worked with a client last year that was rather surprised to discover that their audience didn’t want what they were offering on the Web. There was nothing wrong with the content. It just wasn’t stuff people really turned to the Web looking for. But there were things people did expect this company to provide on the Web, so we refocused the strategy around that. Digital Web: How does user testing work? What elements should be focused on when it comes to user testing? JV: There are three things to keep in mind when doing user research. First, most methodologies are scalable. You can spend $50,000 on six weeks of thorough usability testing, or you can find a few people from the mail room and sit them down at your computer. Both will yield results. Both are valid research. Second, user research should be integrated into your entire process. You should live it every day—it’s not just a set to complete at the end, right before launching. And finally, you set take everything you learn from user research in perspective. You are a designer, so go design some stuff. Don’t get stuck in what Mark Rettig calls “Analysis Paralysis” where you can’t make a decision without running off and consulting a statistically significant population of potential users. JJG: In my book I say that the key to good user testing is knowing what you want to get out of it before you start. That doesn’t mean deciding on the outcome in advance and then going hunting for data to support your position. It means that you’ve got to know what aspects of the site you’re going to test—is it the interaction flow, or the placement of the buttons, or the colors on the nav bars? Once you know that, design your tests to really focus in on those issues to the exclusion of other issues that might taint your findings. If your line of inquiry in user tests is vague and unfocused, the results of those tests will be as well. Digital Web: There’s much confusion about the relationship between IA and usability. How is IA related to usability? JV: Usability relates to IA the same way usability relates to visual design, interaction design, engineering, and content creation. It’s a method for validating the decisions you’ve made. Information Architects probably make the most use of testing, since they are so intimately responsible for creating stuff that’s based on user expectations. But everyone should have a vested interest in frequent checks with users. JJG: I think IA got mixed up with usability in the minds of many people because advocating for the user in the development process was so rare before IA came along. So for lots of people, their first exposure to the idea of creating a site based what people need and want was through working with an IA. Usability researchers are user advocates, too, but they approach user advocacy from the perspective of identifying problems, not proposing solutions. But user research can also find problems that IA can’t solve, such as visual design or technology issues. Digital Web: What Web sites do you believe demonstrate usability at its finest? Why? JV: I’ve been thinking about content sites that actually don’t rely on a strong sense of structure lately. Look at the Internet Movie Database or the All Music Guide for good examples. These sites really don’t have much of an architecture. They have hundreds of thousand of pages of content, but rely almost entirely on search to get people into them. Which is fine, because that’s all most folks are really expecting to do there. But then, once inside, these sites offer a tremendous amount of contextual linking. You find the movie you were looking for, and see the actor who played the lead, then click to her film history, and see another film from five years ago, and click and click and click. Sites like these are great at hooking me for hours at a time. JJG: When it comes to selling products on the Web, I think everybody’s got their hands full just trying to catch up with Amazon. The dominance of Amazon in e-commerce is the direct result of their emphasis on providing a good user experience. They won’t sit still, either; they’re constantly tinkering with the site, making little improvements to existing features and finding new ways to leverage what they’ve already implemented to make the site more compelling to shoppers. Digital Web: What common themes or usability rules have come to the forefront? JV: Despite what most designers will admit, I think there are a number conventions and best practices that have emerged on the Web. And despite what most usability experts will admit, these conventions are rapidly evolving. So there are rules you can follow, but don’t count on them. Here are some examples: Amazon’s product detail page, Google’s search results, Yahoo’s breadcrumb navigation… if every designer started with these, understood why they worked, and built their solutions using this language, the Web would be a better place indeed. JJG: I think one huge theme that we see across all types of sites in all types of industries is the importance of using language that is natural and familiar to your users. This isn’t just a content issue—the mental models people build as they navigate through your site are based almost entirely on their interpretation of the language you use. Unfamiliar jargon forces people to make guesses about what they’ll find, and inevitably, people will guess wrong. Digital Web: Macromedia’s Flash regularly receives criticism for not being usable. How can a Web site using Flash be usable? What are the overlooked issues that designers should address when creating Flash-based Web sites? JV: One important aspect of usable interfaces is that they meet users’ expectations before they become experienced. Much of the interaction we take for granted on the Web, for example, comes from experience we’ve had with desktop applications and operating systems. Flash interfaces, however, have historically veered from those conventions. Designers and developers using that technology have had to create all interface elements themselves, so the basic consistency that users expect has never been there. That’s why you never see Flash used in commercial Web sites that depend on their UI for their business model. They need their sites to be instantly understandable and offer a smooth user experience to the shopping experience. JJG: Historically, the strengths of the Flash technology have been completely separate from the qualities of usable Web sites. Users find unnecessary animation obnoxious and a hindrance to fulfilling their goals; Flash, on the other hand, enables everything to be animated. Users need to be able to bookmark and return to key pieces of information; Flash turns the entire site into a fluid, undifferentiated experience in which you have to start from scratch every time. Now, with the advent of Flash MX, the big problem with Flash is no longer the technology itself, it’s the way designers use it. So I think the future of the technology depends on whether Flash developers are willing to learn how to accommodate user needs. Digital Web: Which sites do you see failing the usability test? Why? What are the more common usability problems you’ve seen? JV: I often speak at conferences and without fail, the supporting sites for these events are awful. It’s ironic that these conferences intend to help their attendees design better Web sites, but I seldom can get a simple overview of what’s happening when. I think it may have to do with over-eager marketing departments. They’re so concerned with making the event sound enticing, that they neglect the audience that has already signed up. That’s a problem that spans all industries, though. JJG: The usability of government Web sites is pretty much universally appalling. Every time I have to visit one of these sites, part of me wants to cut them some slack. After all, I can only imagine the limited operating budgets and bureaucratic constraints these sites have to work within. But another part of me considers these sites essential public information services, and thinks usability should be a minimum requirement for any site mandated to serve the public interest. Digital Web: How can small businesses or organizations conduct usability testing when they have little or no budget? JV: How can they not? The formality of the usability process is entirely up to you. As I’ve mentioned before, you can grab a couple of folks and ask them to sit at your desk and use your Web site, or you can hire expensive consultants to do an in-depth analysis. Results will vary accordingly, of course, but the point is to learn from other’s experience, not your own. JJG: User testing is really very simple: Get somebody who vaguely resembles your target audience (and who doesn’t work on the site) to sit down and use your site. Watch what they do, ask them questions as they go, and take notes. That formula allows for a very wide range of techniques, from formal testing in labs around the world with closed-circuit video feeds to “Hey, try this out and tell me what you think.” Any user input at all is valuable, and just a handful of informal sessions will always uncover aspects of the site that can be improved. Digital Web: What is Adaptive Path’s primary role? The whole design process? Or does it focus on certain aspects? JJG: Our role is really to lay the foundation for our clients to do great work. The primary focus of our work—strategy, research, and architecture—is all about getting to the heart of what the client needs and the users want, and translating that into a master plan that can guide design and implementation. There’s plenty of hands-on problem solving involved, but it’s always with an eye toward the future and the big picture. Digital Web: It’s not news that many Web design companies have been struggling. Adaptive Path is considered one of the more successful design companies. What’s your secret? JV: You know, the big consulting groups of the last few years really did some damage to our industry. They offered the world, sucked a lot of capital out of companies, and quite often did sub-par work. That, of course, is all in hindsight—the Web was a terribly confusing and ridiculously fast paced place then. So we feel a little like the little mammals that survived the Jurassic period. The big reptiles are becoming extinct leaving plenty of opportunity for the small to thrive. JJG: There are two main secrets, one philosophical and one practical. The philosophical: Be flexible. These are tough times for our clients, too. Listen to them and respond to their needs. Find ways to accommodate shrinking budgets. And that leads to the practical: Keep your costs down. Simply put, if you don’t have to bring in $150,000 a month just to keep the company running, you’ll be better equipped to survive on the smaller jobs that are more readily available. Digital Web: What was one of the more challenging projects you’ve taken? How did you overcome the challenges? JV: I hate the nonsense that passes for corporate culture at many large organizations. I have very little tolerance for political games, deeply embedded jargon, and the whole “We can’t change that” attitude you come across there. Obviously, you need to understand the context in which you’re working to do successful design, but you don’t need to embrace it. So the most challenging aspect of many of our projects come from shaking people out of the “business as usual” mindset and getting them to see how their online offerings can be so much more effective. JJG: One of the biggest challenges we often face is skepticism from inside the client organization. People are wary of consultants these days—Internet consultants doubly so. There have just been too many snake-oil salesmen in our business over the last few years. So initially there’s often somebody who thinks this “user experience” talk is just more mumbo-jumbo. But as we work with them, listen to them, and demonstrate how the work we do provides value to the organization, they become believers. Digital Web: Jeff, you’ve written several books including the highly acclaimed The Art and Science of Web Design What is the purpose of the book? What do you hope readers take away? What are your current or near future projects? Digital Web: JJG, you’re working on a book, The Elements of User Experience. What is its focus and what do you wish to communicate to the readers of the book? When can we expect to rush to ebook stores to buy it? What are your current and near future projects? JJG: The book is an introduction to the concepts of user-centered design as they are applied to the Web. It’s intended to demystify the field of user experience for newcomers or outsiders who might think it’s too academic or only applicable to projects with multi-million-dollar budgets. Some of the ideas will definitely be familiar to those who have seen the “Elements of User Experience” diagram I did a couple of years ago. The book is short and accessible and colorfully illustrated, and should be available the first week of October. After the book comes out, I’m not sure what my next project will be. I have a bunch of ideas that have been simmering patiently on the back burner while I wrote the book. Now that it’s finished, I have to figure out which one is most urgent. In any case, it’ll probably be something that builds on the ideas in my essay “ia/recon”. Digital Web: Jeff, as someone who has been in the Web design for a long time, what keeps you going? Who or what inspires you today? JV: It’s strange. There are certainly peaks and valleys, but overall I’m just as excited about the Web today as I’ve ever been. There are a couple of reasons for that. First, I’ve always loved not only the technology, but its application to human needs and desires. So the longer I do this, the more my focus evolves towards those goals. That just keeps getting more and more interesting as we learn about this amazing new medium. And second, I’m pushing my experience in new and different ways all the time. One of the reasons we founded Adaptive Path was to learn from each other, since we all have such different approaches to our work. That has paid off more handsomely that I could have ever imagined. My partners are my greatest inspiration. Digital Web: On your Web site, you state that your avocation is “casual observer.” In observing, what have you discovered inspires you? JJG: Lately I’ve really been inspired by the enormous energy coming out of the open-source community. The economic crash may have decimated the startups, but open-source software only seems to be gaining momentum. I’d love to see the user experience community emulate the same commitment to innovation and cooperation. Digital Web: You must have an interesting take on creativity especially since IA, User Testing and Usability are the more logical aspects of design. What is creativity to you? JV: Heh. Yeah, I hear that all the time—IA and usability are sucking the life out of creative design. I think that’s nuts, of course. I’ve always believed that you have to know the rules before you can break them. I find that liberating, yet so many Web designers find that limiting. But the logical aspects of design simply build a foundation for us to create new stuff. And I’m just trying to figure out what those rules are. Digital Web: Jesse, you’re a southpaw. [Meryl and Ben cheer.] We left-handers are considered more creative than them righties. What do you think of when it comes to creativity? JJG: Creativity has always been fascinating to me because it finds expression in almost every area of human endeavor. Everywhere you look, people are experimenting, coming up with creative solutions to the problems they face. It seems absurd that some in the design community think design has some sort of unique claim to creative problem solving. Creativity is as natural to people—all people—as walking or breathing. It’s part of who we are as human beings. Jeffrey Veen is a partner with the user experience consulting group Adaptive Path and spends his time speaking, writing, and helping companies figure out what their users want. Previously, he was the Executive Interface Director at Wired Digital where he helped design HotWired, Webmonkey, and the HotBot search engine. He has written The Art & Science of Web Design and HotWired Style: Principles for Building Smart Web Sites. 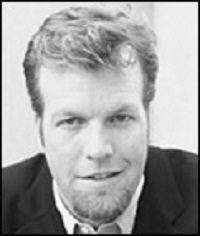 Jesse James Garrett is one of the founders of Adaptive Path, author of The Elements of User Experience, and a recognized figure in the information architecture community. He created the Visual Vocabulary, an open notation system for IA development, and his personal site at jjg.net is one of the Web’s most popular destinations for information architecture resources.